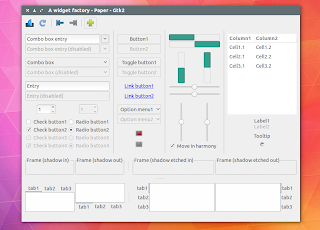 Paper is a new material design inspired GTK theme, which is currently in beta. 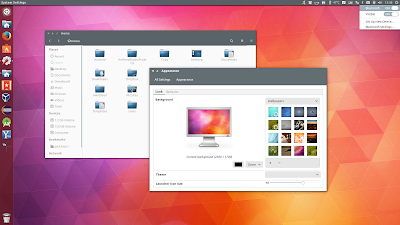 "Its design is mostly flat with a minimal use of shadows for depth", mentions its website, and it was developed primarily for the GNOME (Shell) and other desktops that make use of header bars. 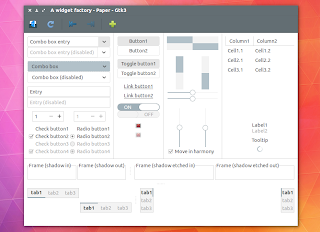 Ideally, you'll need a complete GNOME 3.14 / 3.12 desktop to see what Paper is all about, since the theme uses custom colors for header bars / client-side decoration apps. 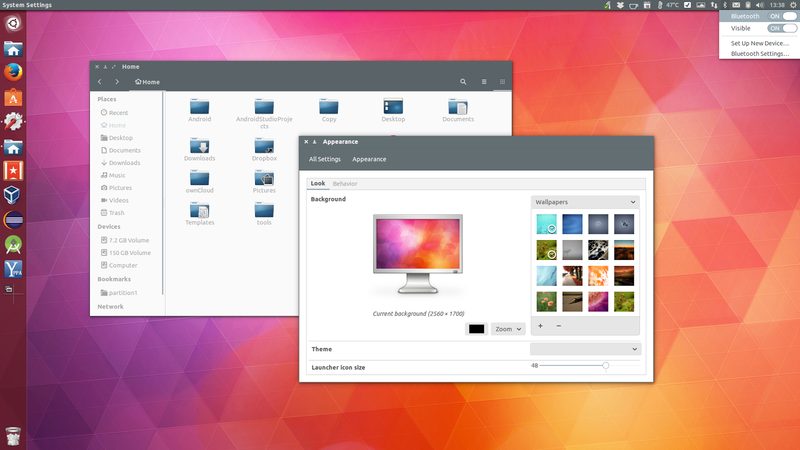 It's important to mention that currently, there are a few issues with Paper GTK theme, especially on non-GNOME (Shell) desktops. For instance, the Nemo statusbar is not themed correctly, the Ubuntu Sound Menu buttons are not displayed and probably more (so I don't really recommend it on Unity, at least for now). 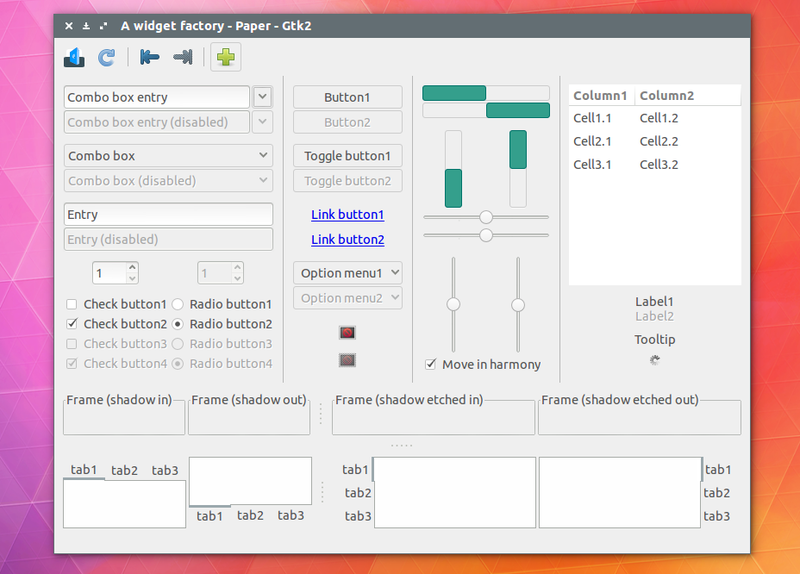 Also, the GTK2 theme still needs some work. However, the theme was developed with GNOME / header bar apps in mind and furthermore, it's still in beta, so that's understandable. 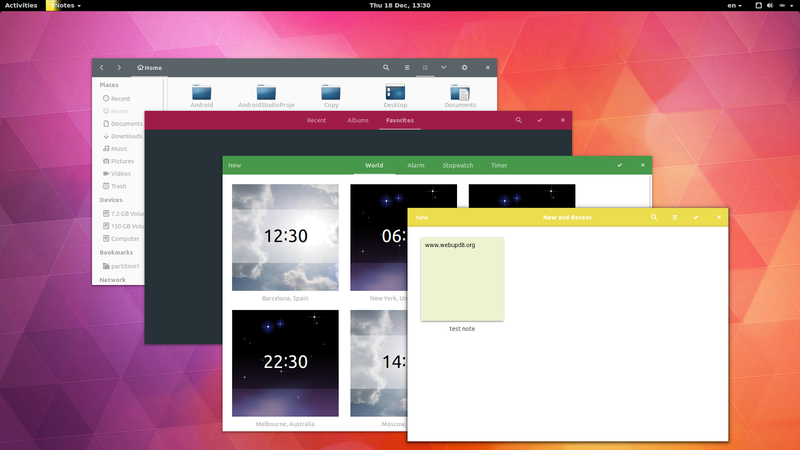 According to +Sam Hewitt, the theme developer, Paper will be a complete theme suite once it goes stable: the GTK theme will be accompanied by GNOME Shell, icon and Plank themes. Arch Linux users can install Paper via AUR. 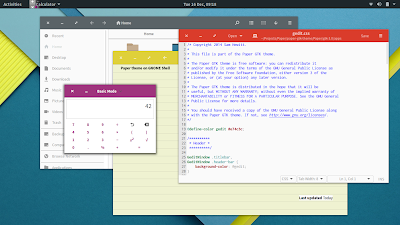 Once installed, use an application such as GNOME Tweak Tool to set the theme to Paper. 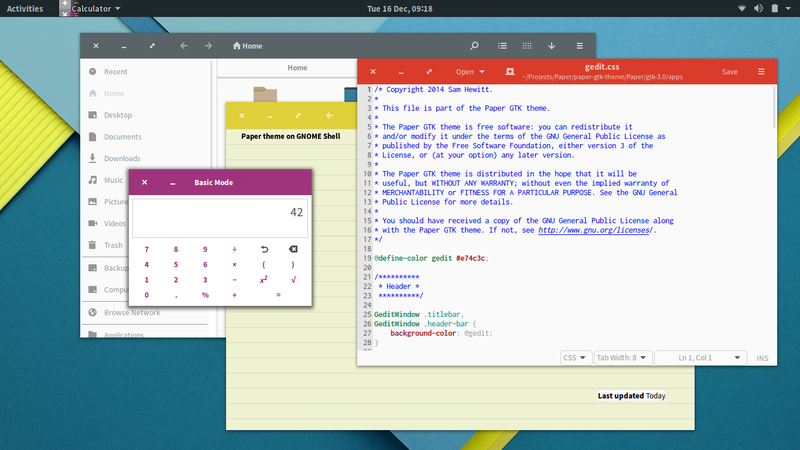 If you download the Paper GTK theme tarball, you'll find an "install.sh" script that you can run to install the theme and set it as the current desktop theme however, note that if you run the script as root (that's required if you want to install the theme globally, under /usr/share/themes/), the script can't set the current theme to Paper because gsettings (which the script uses to change the theme) doesn't work as root.